Zac Efron is Water Taxi Tough | Ashley Tisdale, Vanessa Hudgens, Zac Efron | Just Jared Jr.
Zac Efron flexes his leading man muscles on Sunday as he enjoys a water taxi harbor cruise ride with girlfriend Vanessa Hudgens, pal Ashley Tisdale and HSM3 director Kenny Ortega at Circular Quay Wharf in Sydney, Australia. Earlier in the day, Zac and Vanessa were seen in their CBD hotel room in Sydney. Later, the young stars dined at the Catalina restaurant on the harbor and then indulged in some retail therapy at Ksubi. High School Musical 3: Senior Year opens Down Under on December 4 but a press call is scheduled for later this morning, then the George St Greater Union premiere tonight. awww look at the fourth pic its sooo sweet i love zanessa! zac has his hand on v’s waist its soooo cute!!! and romantic zanessa forever and when do they start on their tour for HSM2 and Hms3 they said they were going to start a tour around the U.S. i want it to happen now and im going to kill zac if hes not in the tour!!! He has such a good voice!! ummm! wat u lot thinkin? 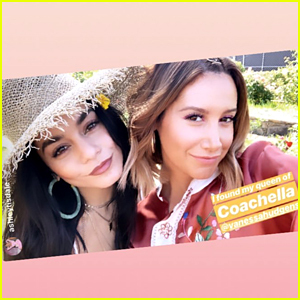 God~,,but v looks so Beautiful,Zanessa looks even more better,i love themmmmmmm sssssoooooooooooo muuuuuuuuuuucccccccccccccccchhhhhhhhhhhhhhhhhh!!!!!!!!!!!!!!!!!!!!!!!!!!!!!!!!!!!!!!!!!!!!!!!!!!!!! I love the pictures of them in there hotel room :D its so cute! But what are the doing?